MPI Cobra Probe Cards are a widely known fine pitch buckling beam probe card technology. 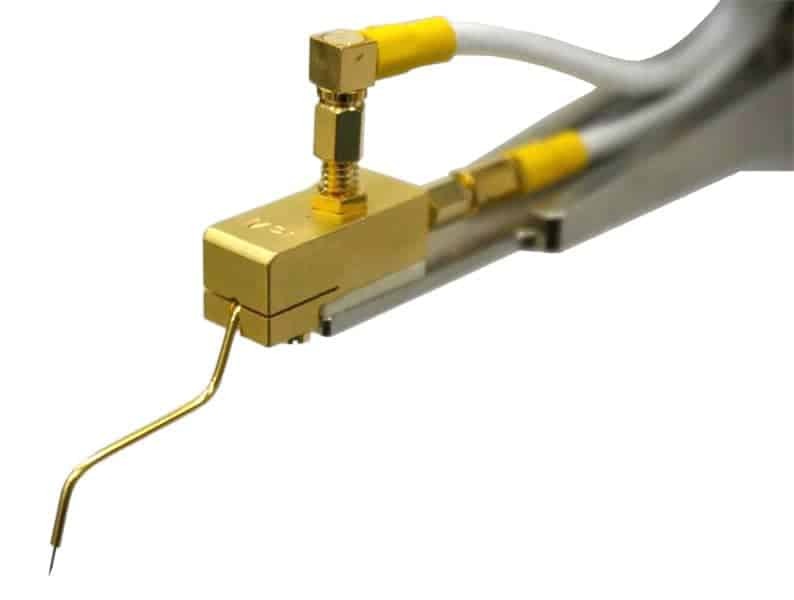 Cobra buckling beam probe is applicable from early engineering pilot-runs to mass production on various wafer probing test applications. MPI’s technology includes both the most reliable performance and ease of use. MPI VPC Solution can provide fine pitch probing for different DUT packages to meet high-density Flip chip specification. MPI Cobra Probe Cards include high current carrying capability (CCC) and balanced contact force (BCF) . The technology is compatible with state-of-the-art space-transformer architectures. and is ready for applications requiring high signal integrity probing (SI) and/or power integrity probing (PI). Applications include cutting-edge SiPs/SoCs, WLP, graphic processors, microprocessor, industrial microcontrollers, and more. To achieve the semiconductor chip manufacture time-to-market (TTM) and Cost of Test (COT) demands, MPI’s highly skilled Cobra Probe Card team is collaborating throughout global project members for early engagement on custom designs including printed circuit board (PCB), space transformer (ST) and substrate (SB) design.